Serious injuries can have devastating effects on the injured individual and his or her loved ones. 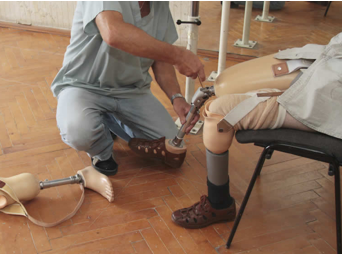 Amputation, paralysis and disfigurement can all require multiple surgeries, lifelong physical therapy and the reliance on technology and prosthetics. If you have suffered a catastrophic injury due to a work accident, a motor vehicle accident or medical malpractice, we encourage you to contact our firm. At The Wetzel Law Firm our attorneys years of combined experience representing clients through challenging personal injury cases. Our understanding of medical procedures and insurance carrier strategies allows us to develop an effective and unique strategy for our clients. Trust us to work with your doctors to gain a clear understanding of the far-reaching implications of your condition and how your injuries will impact your entire life. Amputation: It is not uncommon for serious industrial or heavy machinery accidents to lead to amputation. Typically in these accidents, an appendage is crushed beyond repair and must be amputated. Amputation can also result from medical malpractice, surgical errors or serious motor vehicle accidents. Disfigurement: Electrical, chemical or fire burns typically lead to disfigurement. Most often, the skin and underlying tissue are damaged to the point that the appearance is actually changed. This can include severe scarring that might require plastic surgery to correct the skin’s appearance. Paralysis: When an individual suffers a severe spinal cord injury, it is common for paralysis to result. Whether that paralysis is complete or incomplete depends largely on the injury. Paralysis can be paraplegia, quadriplegia or hemiplegia. If you or a loved one has suffered a catastrophic injury, it is wise to consult with a skilled personal injury lawyer. Depending on the circumstances surrounding your accident, you might be entitled to recover monetary compensation for lost wages, medical bills, and pain and suffering. At The Wetzel Law Firm, we take all of our cases on a contingency fee basis. This means it will cost you nothing to have an attorney on your case. We collect our fee when you collect from the persons responsible for your injuries. Contact an experienced attorney at The Wetzel Law Firm today to learn more about our services. Your initial consultation is always free.